The DWL candle holdr by Holmegaard brings a touch of elegance to your homes. 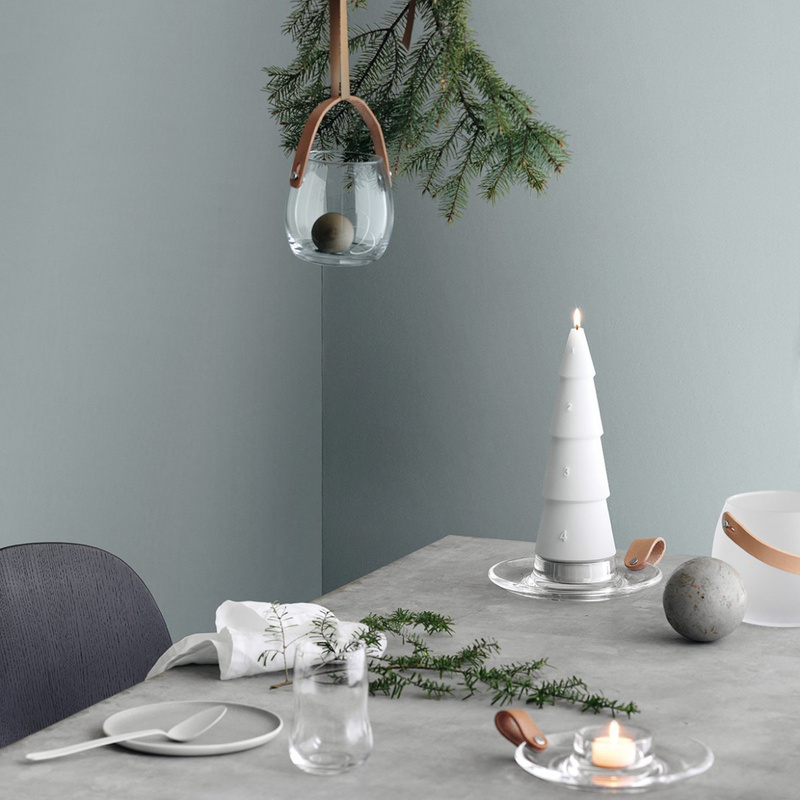 The DWL round candle holder by Holmegaard has become a piece the tradition of the Scandinavian design. Hailed for linearity and beauty of its forms, it is a very elegant and refined furnishing object. 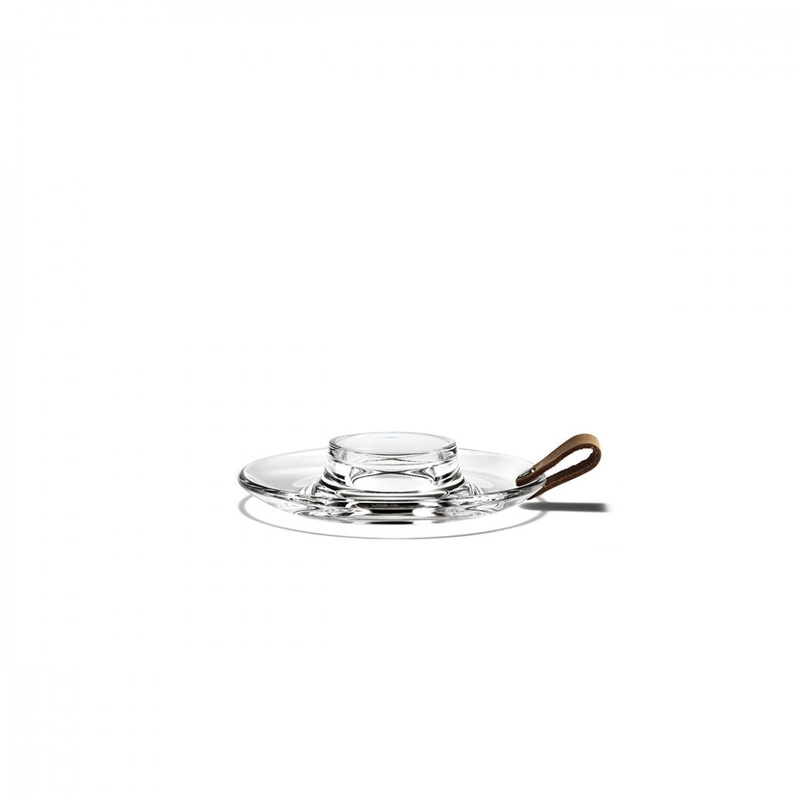 The small plate made of transparent glass is enhanced by the leather handle that looks like a sort of flower petal going to decorate the small plate and creates a stunning contrast of colours and materials, particularly original and innovative. The DWL candle holder has a diameter of 17 cm and is suitable for candles with a diameter of 5 cm: the central pillar in which the candle must be inserted has a diameter of 5 cm, while the small plate under it is slightly concave to collect the wax that falls from the candle as it melts. 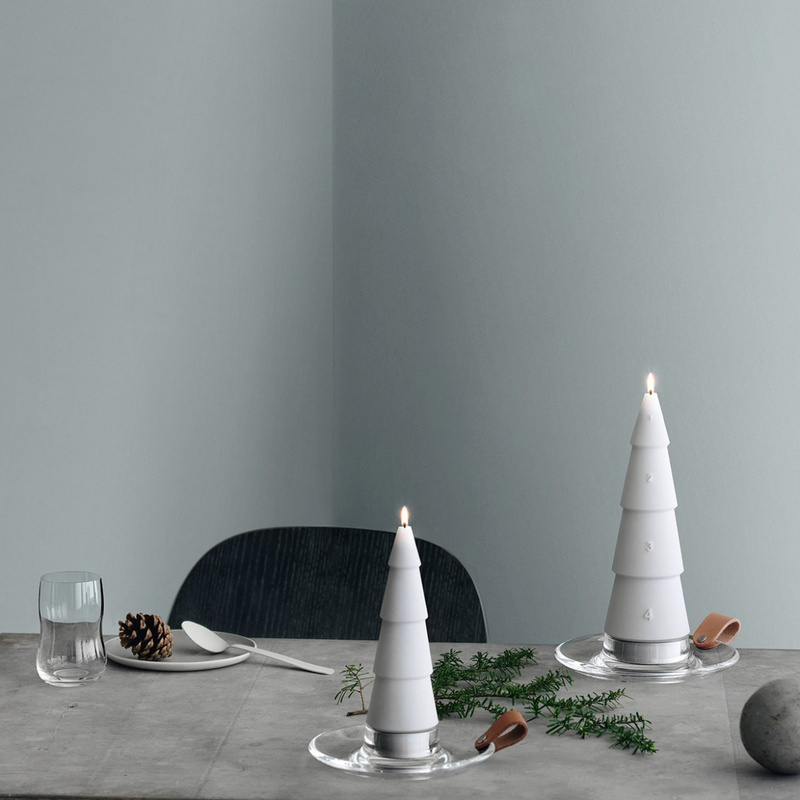 The candle holder was so appreciated for its aesthetic qualities that the designer Maria Berntsen created a wonderful candle holder for the advent, consisting of four overlapping cones. In this way the DWL candle holder by Holmegaard is therefore considered appropriate not only to beautify the interior but also to enrich and enhance a period like Christmas, in which a lot of importance is given to decorations and aesthetics. One of the key features of this candle holder is its transparency, thing that will allow a greater reflection of the flame of the candle and the amplification of its brightness, thus creating an effective lighting to highlight certain corners of your house. 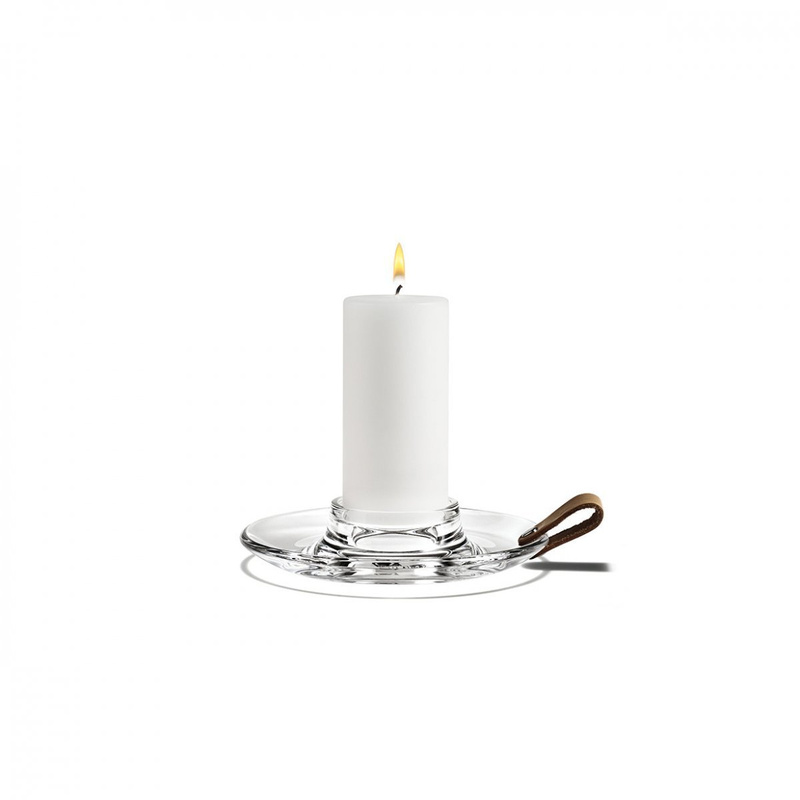 The DWL candle holder by Holmegaard is not dishwasher safe, but must washed by hand, paying attention to some recommended precautions such as placing it on a nonflammable surface or taking care that the candle does not melt completely. By following these simple steps you will avoid any possible danger or problem. Enhance your interior design with the elegance and originality of the DWL candle holder and you will see everything in a different light.